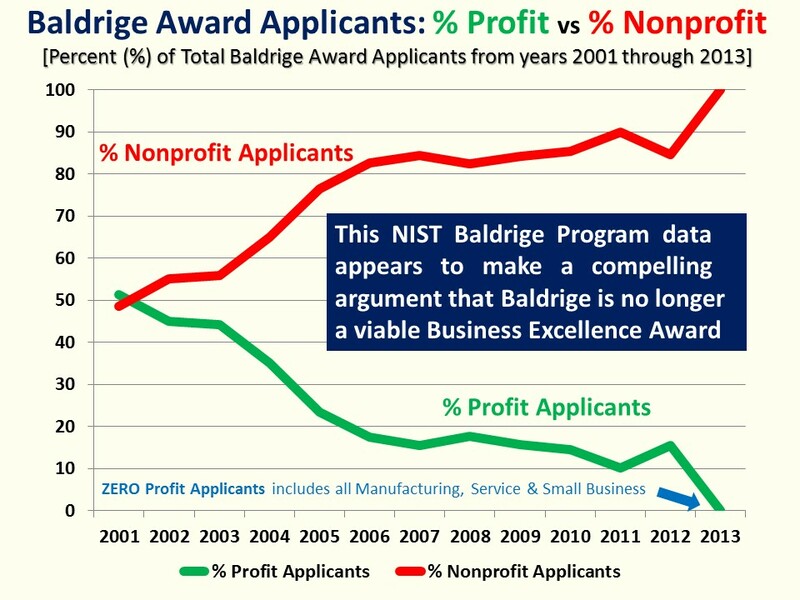 How bad can it get for the Baldrige Award in the US and internationally? . . . here's why . . .
To put this in perspective, not one of the 20 million 'for-profit' businesses in the United States applied for the Baldrige Award. Breaking BADrige . . . the news is not so good in the US or internationally . . .
Vodafone was my 11th telecommunications client in 11 different countries. I am pleased to report that all eleven achieved their project objectives . 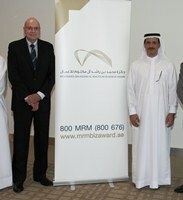 . . which for most of them was to win their 2013 national quality/excellence award . . . thank you Vodafone for keeping the streak alive . . . and, thank you for the special honor of inviting me to work with a truly outstanding organization that never stops improving. It does not get any better than being selected to guide in Singapore the development of the Asian Productivity Organization's manual to train the Business Excellence Consultants in most Asian nations including members from Japan, Singapore, Malaysia, Philippines, Mongolia, Thailand, Fiji, Taiwan, India, Cambodia, Vietnam, Sri Lanka, and Pakistan. I have always enjoyed a warm welcome from friends in Singapore especially those involved with SPRING. The Baldrige Criteria represented an innovative breakthrough when I was honored to be part of launching their use in 1988. However, Singapore has taken that innovation to new levels and is widely admired for their achievements worldwide. I participated in the SPRING Singapore Quality Award (SQA) as an international assessor where I learned much more about Singapore's benchmark use of their prestigious excellence and innovation Criteria. The photos on this page show some of the special events I have had the honor of participating in while in Singapore and also some of the special places. Serving as the International Assessor on SQA teams in 2008, 2010 and 2011 has been very enjoyable and fulfilling (2010 team shown above). Mission: Accelerate the overall rate of organizational improvement beyond the capabilities of the traditional continuous improvement and Business Excellence approaches. 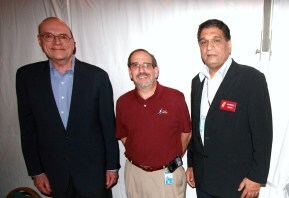 Singapore's Foreign Baldrige Examiners: Dr. Anju Aditya, East Coast Global Indian School with Dr. Harry Hertz and Dr. Curt Reimann at Baldrige Examiner Training. 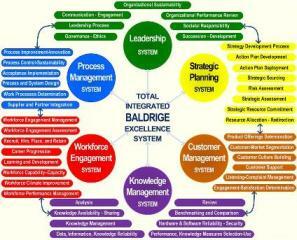 Each process in the Total Baldrige Integrated Excellence System is actually a core process that has been updated using knowledge gained from hundreds of assessments of public and private sector and health care and education Criteria users worldwide. These core processes are the 'best of the best'. However, the best processes in the world are useless unless you and your colleagues can accept and implement them. I have 30 years of experience in facilitating implementation of processes and systems while preserving the culture and special needs of various sizes and types of organizations. It is much easier to do than most people think. The key to success is to replace the core of your existing processes which are not capable of best-in-class performance with a best practice core processes. This allows you to preserve everything that works well, everything important to your success, your culture, and everything you are already the expert in. The core process approach enables organizations to accelerate their overall rate of improvement beyond today's continuous improvement and Business Excellence approaches. Replacing incapable core processes with highly capable ones causes a shift in your improvement rate from gradual to breakthrough. I can do this for you for any process or system in the graphic or I can teach you how to do it. Please contact me and I will be pleased to discuss this with you and/or visit with you.